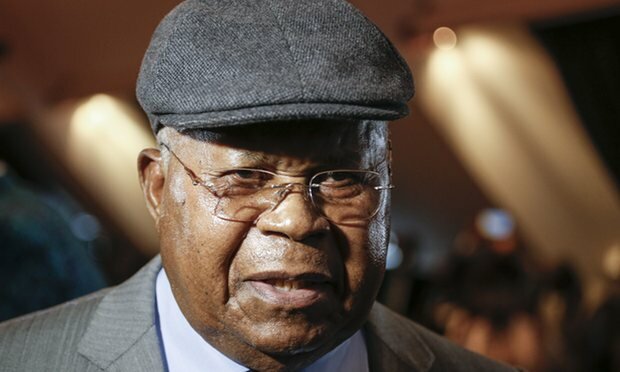 A fragile political deal aimed at averting serious civil conflict in the Democratic Republic of Congo has been jeopardised by the death of veteran opposition leader Étienne Tshisekedi in Brussels. Tshisekedi, who was 84, was the principal leader of the fragmented opposition in the vast, resource-rich central African country. His death comes at a critical moment, as talks between opposition parties and representatives of President Joseph Kabila, who has ruled since 2001, falter. The veteran politician was set to lead a transitional council, part of an agreement put together in December intended to pave the way for Kabila to leave power in 2017 and refrain from running for a third term as president. The end of Kabila’s mandate on 19 December prompted protests in cities across the DRC. More than 40 people are thought to have died and hundreds were arrested during two days of violence. Tshisekedi’s son, Felix, is now tipped to be named prime minister in a forthcoming power-sharing government, if the agreement holds. “The information is confirmed. The [party] president is dead,” the spokesman for Tshisekedi’s Union for Democracy and Social Progress (UDPS) party, Augustin Kabuya, told Reuters. A pivotal figure in Congo, Tshisekedi’s decades of activism meant he could draw huge crowds. Though in recent years his leadership was largely symbolic, it has been important in maintaining a degree of unity among divided opposition factions. “Tshisekedi was a giant in Congolese politics,” said Jason Stearns, director of the Congo Research Group at the Center on International Cooperation at New York University. “His death is tragic and will have a profound impact on the political scene. There is no heir apparent, either within [his UPDS party] or the broader opposition. “Even before his death, opposition leaders were vying for the prime ministry and cabinet jobs; there is little doubt that President Kabila will seek to capitalise on this moment to sow discord among his rivals. “At the same time, the political elite and the broad population are still relatively united on their objectives: Kabila must step down and elections must be held as soon as possible. The question is whether they can overcome their internal division to make those goals a reality,” Stearns added. Opposition politicians on Thursday pledged to maintain the unity of the main opposition coalition. However Hans Hoebeke, DRC analyst with the International Crisis Group, said: “We are entering murky waters. No one has the popular legitimacy to take over,” adding there was a real risk of an outbreak of violence. Tshisekedi stood up to Mobutu Sese Seko, the dictator who ruled the country then known as Zaire for more than three decades before being overthrown by Rwanda, Uganda and other forces. He was also the main civilian opponent of Laurent Kabila, who took power in 1997, and his son, President Joseph Kabila. Western and African powers fear further political instability could lead to a repeat of the conflicts seen between 1996 and 2003 in which as many as 5 million people may have died, mostly from starvation and disease. The conflict was the deadliest in modern African history, involving two rounds of fighting in the late 1990s and early 2000s which dragged in at least six countries’ armies. As word of Tshisekedi’s death spread in the capital Kinshasa, clashes broke out near his house in the Limete district between stone-throwing UDPS supporters and dozens of police, who fired teargas and made several arrests, a Reuters witness said. Tshisekedi served as a minister under Mobutu before founding the UDPS, the first organised opposition platform in Zaire, in 1982. He was named prime minister four times in the 1990s as Mobutu contended with pro-democratic currents in the country, but never lasted more than a few months as he repeatedly clashed with the charismatic autocrat. He finished runner-up to Kabila in the 2011 presidential election. International observers said the vote was marred by fraud and Tshisekedi’s supporters have referred to him ever since as the “elected president”. Tshisekedi returned to Congo’s capital, Kinshasa, last July to a hero’s welcome after two years in Brussels for medical treatment. The UDPS said he returned to Brussels last week for a checkup. Analysts suggest two possibilities if opposition factions and the government cannot agree on a process with a minimum of legitimacy: a bloody, popular urban uprising could oust the president, or the slow collapse of the government as economic weakness, meddling by regional powers and international isolation undermine its authority. Will the Ax Fall on Nigeria’s National Parks?